Only Friday Morning set up after Thanksgiving Day starting at 5am. This is an indoor show held at the resort. 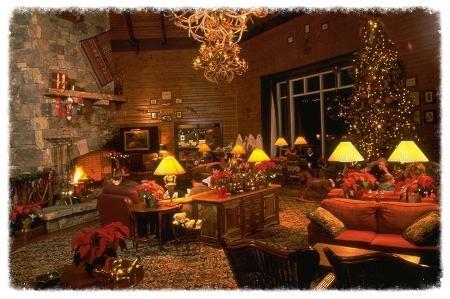 The resort is beautifully decorated for the holiday season and is generally sold out for the weekend. Great crowds walk through this show, both locals and those who come from out of town to be a part of this great show. Two other shows with us will get first prority for being juried in. All others will undergo the juring processing should space still be available. This year we are offering two meeting rooms for anyone who wants to reserve them for there exclusive use at this show. IMPORTANT: You must indicate on your application the room you would like. Fees for these rooms are listed on the application. This show will be open till full both by category and show space. Hallway spots are two six foot tables Ballroom spots are 8 x 10. Payment is due with application. Non payment will result in nothing further being done with your application. IF YOU ARE FILLING OUT AN APPLICATION AND DO NOT SUBMIT PAYMENT YOUR APPLICATION WILL NOT BE PROCESSED OR RETURNED. PAYMENT IS EXPECTED WITH APPLICATION.